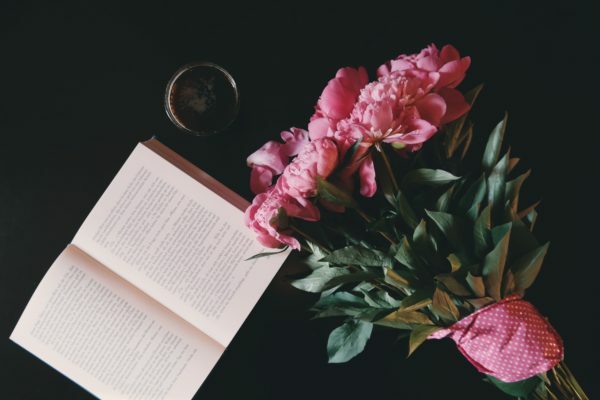 I’m all about self-care these days and reading has been a life-long hobby I’d also consider as self-care. Here are a few books I’ve read since the year started. 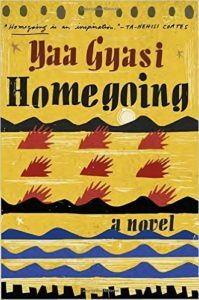 It’s pretty early to start proclaiming my favorite books of 2017, but I’m just going to do it anyway and state that Homegoing is one of my favorite books of 2017. This sweeping novel tells the story of one family that originates in West Africa, Gold Coast (Ghana) during the height of American slavery: one half-sister is married off to a white slave trader and the other half-sister was sold into slavery and eventually shipped to America via the Middle Passage. 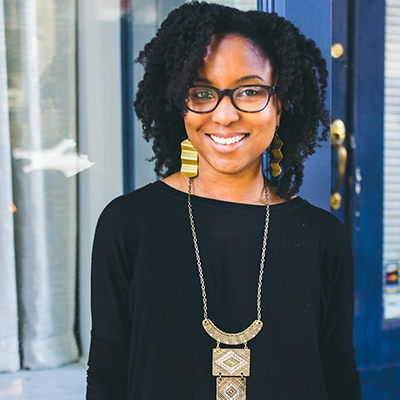 Homegoing was filled with hardship and pain, it also vividly describes the impact of slavery on the Africans who lived with the knowledge that they sent their own people into slavery, other descendants who fought against European colonialism, and Black Americans who endured slavery, racism, and sweeping inequalities that unfortunately reverberate to this day. As a Black American with roots in the south (and a descendant of enslaved Africans), I found this book particularly poignant. But familial hardships, racism, discrimination, the immigrant experience/cultural assimilation of immigrants, are certainly themes in the book that many will be able to find common threads in. Add this book to your reading list for the year if you haven’t read it yet. I definitely hope to read more from Yaa Gyasi in the future. I’ve said many times on this blog that biographies, memoirs, and stories based on real people are highly enjoyable/interesting reads for me. 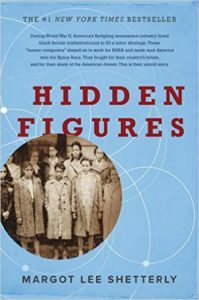 So of course after seeing the film Hidden Figures, I read the book the film was based on. Btw, the book and subsequent film were about the Black American female mathematicians who worked at NASA and were known as “human computers” who participated in key efforts during the Jim Crow period such as getting astronaut John Glenn into space. I actually first heard of these amazing women on the podcast, Stuff Your Mom Never Told You last year and learned a bit about the backgrounds of Dorothy Vaughan, Mary Jackson, Katherine Johnson, and Christine Darden on that episode. But the book gives a more expansive picture of these women, their lives, their brilliance, and the discrimination they faced as black women working at NASA during the Jim Crow era. If you are interesting in getting a more in depth look at the characters depicted in the film, please do yourself a favor and read this book. I’ve decided to start reading more about key points in history and with this political and social climate, now is as good as a time as ever to focus on the Civil Rights Movement. My first read on this historic era was actually a graphic novel rather than a regular book. 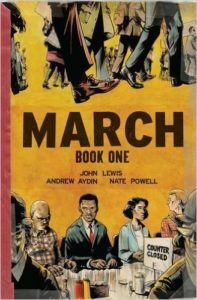 It’s the first of a graphic autobiographical trilogy of Rep. John Lewis and his experiences during the civil rights movement, called March. I’m not a comic book person, but maybe I’m (selectively) turning into one? I’ve also bookmarked Black Panther by Ta-Nehesi Coates for purchase sometime soon…March was worth the read if you are a visual person. It’s also more important than ever to learn more about using peaceful resistance as one of the many tools needed to uphold the civil and human rights many of us believe in.